Writer Emergency Pack is a deck of cards full of useful ideas to help you when your story gets stuck. It’s the creation of screenwriter John August and his company, the same team behind the apps Highland, Bronson Watermarker and Weekend Read. 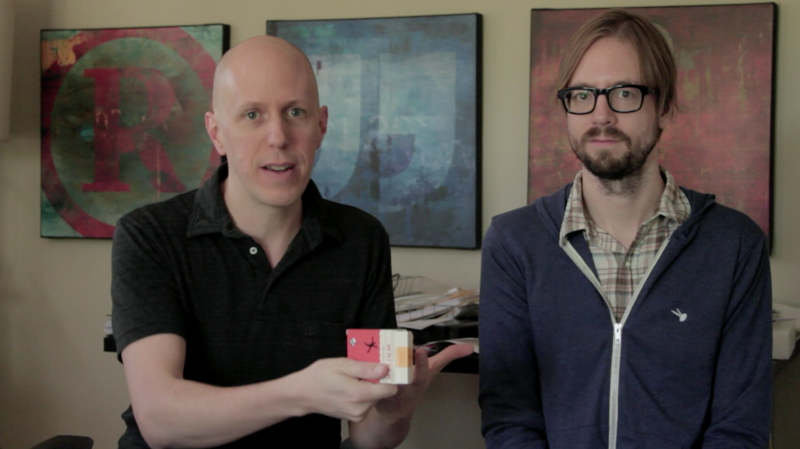 Writer Emergency Pack began as a Kickstarter project in late 2014. It vastly exceeded its modest goal to become one of the most-backed card projects in Kickstarter history, with 5,714 supporters ordering more than 8,000 decks. 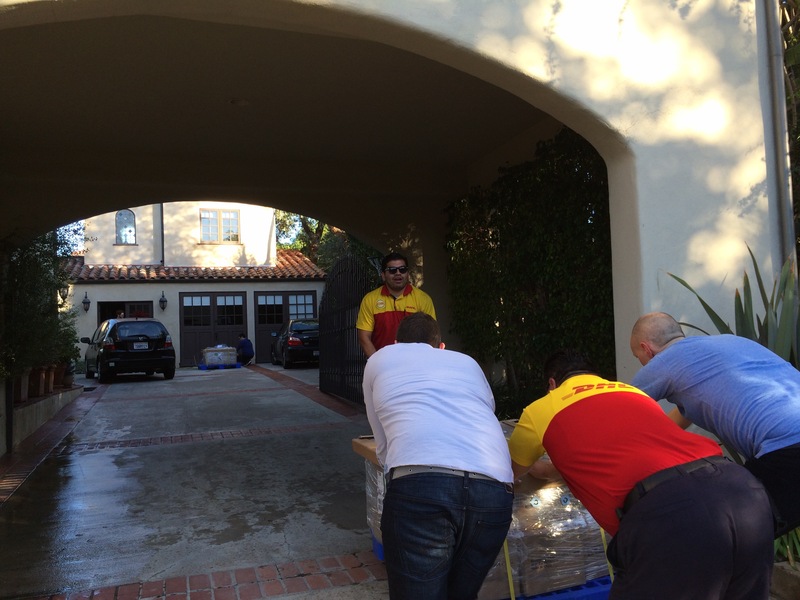 It was a great experience with many challenges along the way, not the least of which was getting the boxes up the hill to our office. 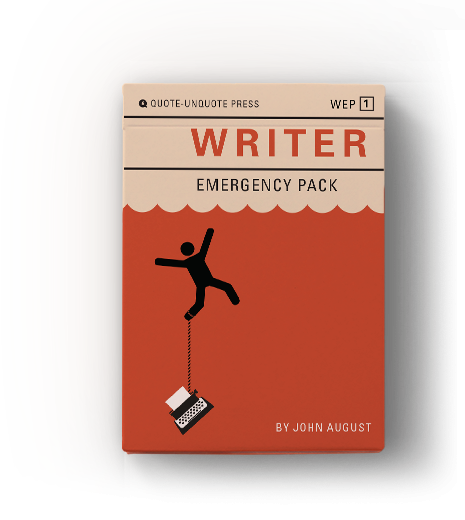 After our Kickstarter success, we made Writer Emergency Pack available to everyone, selling them both through our online store at johnaugust.com and on Amazon. 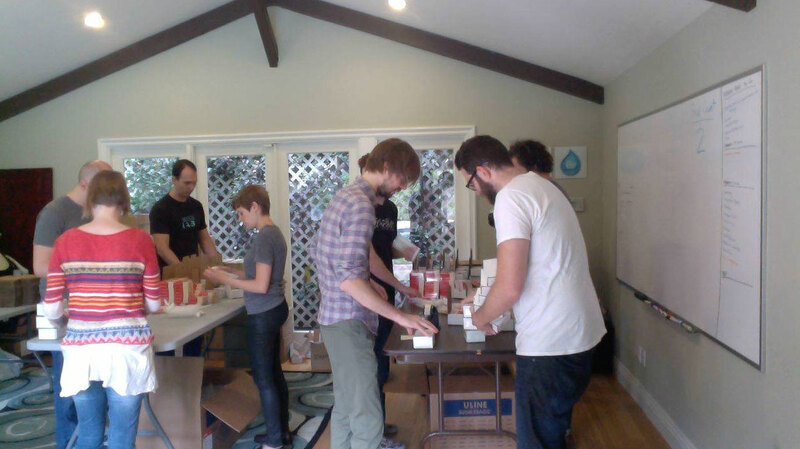 TIME LAPSE VIDEO: The Writer Emergency Pack team + friends and family ship decks to backers. The Kickstarter was structured as a Give One, Get One campaign, so that for every deck we send out to backers, we send one to a youth writing program. And since we sent out 8,000 decks to backers, we now have 8,000 to donate to great youth writing programs. Now that all the decks out to backers, our focus has shifted to getting decks to our youth writing program partners. We’re happy to be working with NaNoWriMo to get these decks in 2,000 classrooms this fall. In addition to nudging would-be novelists each November, NaNoWriMo has a Young Writers Program complete with lesson plans and materials for grade school though high school. We’ll have other major partnerships to announce, but in the meantime we want to hear your suggestions for great local programs. If you are an educator, part of a creative writing program or know one you’d like to recommend, tell us about at education@writeremergency.com.